Before we create the application, first we need to install Visual Studio 2019 and .NET Core 3.0. To download .NET Core 3.0 preview 3, visit this link. Based on your platform, download the appropriate installer. This will not impact your existing .NET Core version installation. At the time of writing this post, you can’t set the Authentication while creating the angular based SPA application with Visual Studio 2019. The option to change the authentication is disabled. However, using the .NET CLI you can create the project via the following command. This command creates a new ASP.NET Core application with a hosted client Angular application. The application uses an Identity Server instance already configured so that your Angular application can authenticate users and send HTTP requests against the protected resources in the ASP.NET Core application. Once the project is created successfully, you can run the application via the following command. Open the application in the browser via the URL mentioned in the .NET CLI window and you should see the following. As you can see here, the Register and Login links are available. If you are familiar with the default Angular template, you might be knowing that the Fetch Data link fetches the list of weather from ASP.NET Core WEB API via Angular and displays them in a table structure. But with authentication enabled, you are required to login to get the list of weather. Clicking on the Register will open the default Identity UI to register users. However, while registering the following error comes (see below GIF). MissingMethodException: Method not found: ‘Microsoft.EntityFrameworkCore.Metadata.Builders.IndexBuilder Microsoft.EntityFrameworkCore.Metadata.Builders.EntityTypeBuilder`1.HasIndex(System.Linq.Expressions.Expression`1>)’. This project uses Identity Server 4 which is the newest version of Identity Server, the popular OpenID Connect, and OAuth Framework for .NET, updated and redesigned for ASP.NET Core and .NET Core. Identity Server has an Entity Framework (EF) Core package that can be used to implement client, scope and persisted grant stores using any EF Core relational database provider. The Identity Server Entity Framework Core package supports the In-Memory, SQLite (in-memory) and SQL Server database providers. The default implementation is using SQLite database. The app.db SQLite database file present in the root. You can open this file with any SQLite database browser or online to view the schema and the data. The Startup.cs also confirms it. The Angular Client App also has the required implementation of authentication. You can expand the ClientApp folder to see the components and their implementation. Now, let’s fix the MissingMethodException: Method not found issue. To fix it, open the .csproj file and replace the following package references. Once done, execute dotnet run command to start the application. This time you should be able to register yourself. After registering as a new user, you will get redirected back to the application where you can see that you are successfully authenticated. 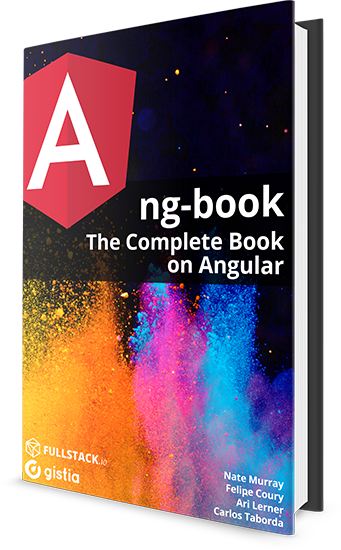 If you want to learn all of Angular 7, I want to personally recommend ng-book as the single-best resource out there. You can get a copy here. With the preview 3 release, the angular default template is updated to Angular 7. Though adding authentication to Angular apps not as smooth as it should be. There are some issues like the EF issue while registering and Visual Studio 2019 not supporting authentication while creating the project. I’m sure by preview 4 the experience will be even better.